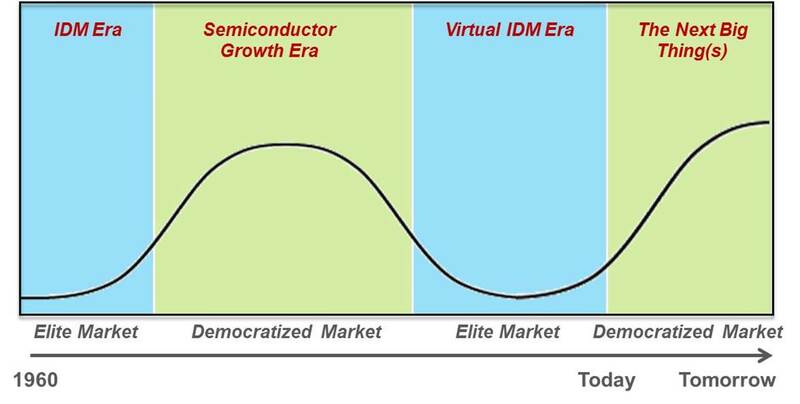 The history of the semiconductor industry doesn’t support consolidation of business into the hands of a few companies—or at least not for very long. Get ready for the next cycle. 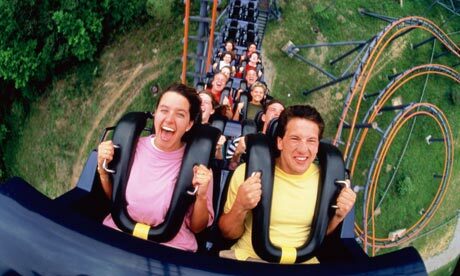 Do you like a roller coaster ride? Some do and some, well, get sick at the thought. I’m here to tell you that if you’re involved in the semiconductor industry, you’ve got a ticket to ride — like it or not. Let’s face it, semiconductors are cyclic. I’ve always felt that supply and demand are in sync for 20 minutes or so every 12 years. Over the years, the cycles have been quite spectacular, with each “bust” cycle followed by another era of great optimism and innovation. Of late, I’m feeling a downward cycle, but this time one of a different nature. It’s not driven by inventory issues, or design starts, or book-to-bill ratios. This one is more far-reaching than that. This cycle is taking us from an era of democratization to an era of the elite. This story isn’t new. The transition from an era of elite to democratization is what essentially started the merchant ASIC business. Before the early 1980s, custom chips were only for the elite. Those companies that owned a fab were the elite. They employed a small army of designers and wrote their own software to automate the design process. Texas Instruments, Intel, RCA and General Electric were members of the elite club. Then, in the early 1980s, the merchant ASIC industry was born, thanks to companies like LSI Logic and VLSI Technology. These companies were founded on the principle that, with sufficient automation and design constraints, custom chips were in reach of the masses. The methodology was more appropriately called semi-custom, because there were constraints on creativity in the name of economy of scale and predictability. Around the same time, the EDA industry was born, thanks to Daisy Systems, Mentor Graphics and Valid Logic, and the semi-custom design method was in full swing. Next came the foundry movement, thanks to TSMC, and the dream was fulfilled. The era of democratized silicon was upon us. Lots of design starts, lots of startups. Life was good. Of late, things seem to be going back to the way they were, however. Thanks to the soaring cost of design in advanced process nodes, the number of companies that have the resources (and market) to use this technology is shrinking. The number of suppliers of advanced technology is also shrinking. 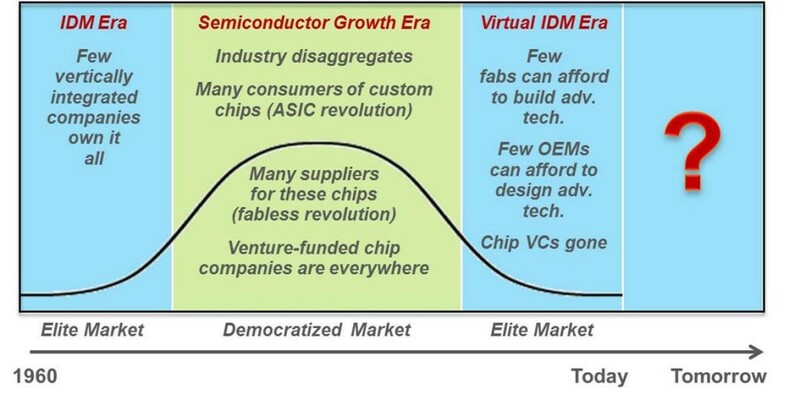 Essentially, I can think of about 12 companies (foundry and OEM) that drive a huge percentage of advanced technology silicon consumption. While the model is still outsourced, the alignment between these companies is quite close in many cases—a virtual IDM, if you like.